SPLASH is the award winning band that exceeds your highest entertainment expectations and dazzles guests with up to date current dance hits, 80s favorites, classic rock anthems, disco/funk, R&B, Motown and more. We tailor the music, choreography and entertainment to each client's exact specifications, and deliver pure excitement at every event. "SPLASH is Los Angeles' BEST event band by far! The talent, the energy, the sincere love for what these musicians do can be felt through every set! The client raved, the guests danced, it was a true success! Thank you so much for everything." 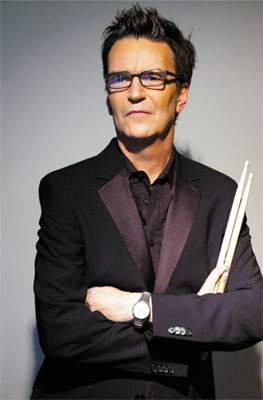 Norm Roper is a drummer originally from Vancouver, Canada. Relocating to Hollywood to pursue a career in music, Norm quickly formed and produced a large "Ultimate Dance Party" musical review to perform in LA's most prestigious venues and theme parks. This venture opened doors to consult, produce and play in countless grand-scale-productions and corporate events. By assembling specific teams of talent from the vast wealth of highly-skilled professionals in Los Angeles, Norm Roper has become known as the "can do" bandleader and event professional.